MeadowCroft Farm is a 7th generation working family farm in the rural community of Swoope (pronounced Swope), named after Jacob Swoope, the first mayor of Staunton and a land developer in the late 1700s. MeadowCroft Farm is located in southwestern Augusta County at the heart of the beautiful Shenandoah Valley of Virginia, five miles from the Interstate I-81 / I-64 Staunton bypass. Run by Bill and Judie Croft, the Farm dates back to the mid 1700s and is a diversified operation consisting of beef cattle, sheep and crops. In 1998, an acidified processing facility known as “The Pickle Factory” was added to the farm. Today, 60+ all natural products are labeled under MeadowCroft Farm brand Heirloom Pickles – Relishes – Fruit Jams – Pepper Jellies and Salsas and distributed across the US. 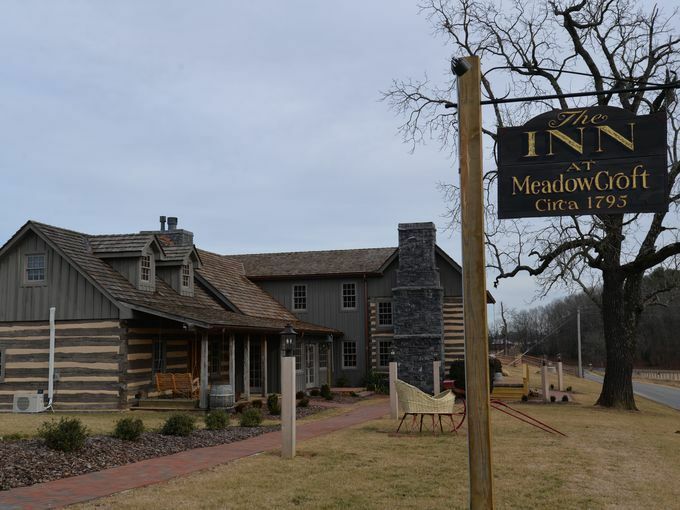 Renovations and updates to the joined cabins were completed in 2018 and the Inn at MeadowCroft opened to delight guests to this beautiful, historic property. 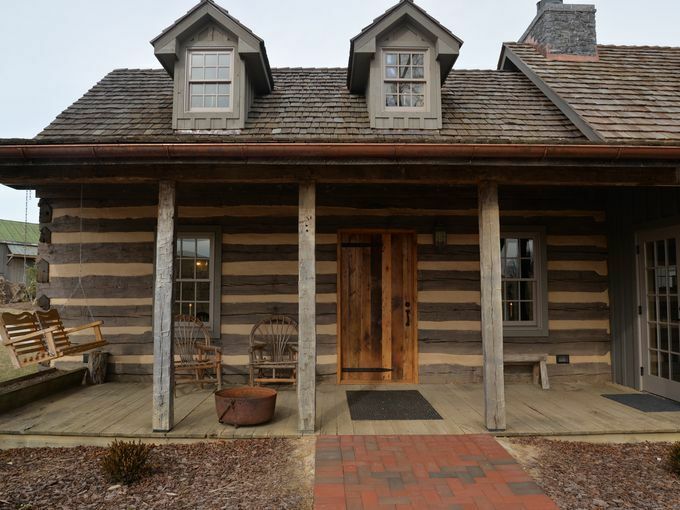 Almost 200 years have gone by since these log cabins were built. A number of families have lived in these houses, a number of renovations have taken place and a lot of history has passed. As you can see today!